Your skin NEEDS these 11 brand new Korean beauty innovations. Right NOW. Home / Acne / Your skin NEEDS these 11 brand new Korean beauty innovations. Right NOW. Yes, the French pharmacy occupies cult status in the world of skincare. But have you ever stepped into an Asian pharmacy? Especially in Korea, where hi-tech skincare goes hand-in-hand with traditional knowledge? Add in chic packaging along with the glowing, über-moisturized, babylike skin that’s become the hallmark of Korean beauty and you have some of the most potent skincare products available to humankind. Which is not surprising, since skincare is almost a culture in Korea – the complexion is a treasured possession and beauty routines focus on prevention and skin fortification, rather than spot treatments and camouflage. This kind of intense demand has fuelled some of the most cutting edge R&D labs in the world, which work with innovative elements like maple water and starfish extract, alongside traditional processes like fermentation. And amidst their biggest benefactors is the Korean government itself, which regularly funds cosmetic companies and flies researchers abroad to pick up fresh knowledge. Added bonus: Most of these adorably packaged K-beauty products are priced well within reach of slim wallets. AND you can get them almost anywhere, given the way they are popping up in beauty aisles across the world. In fact, so enamoured is the world with Korean skincare that the country is poised to export more beauty products than it imports this year. And since it’s not a country that’s known for resting on one’s laurels – or konjac sponges and BB creams – it’s pretty much like beauty-junkie heaven. Time then for you to incorporate these products into your beauty routine… below are 11 of the top noteworthy must-haves. These watery solutions – which fall somewhere between a toner and a serum – are my favourite bits from the current crop of Korean skincare. And they are all over the beauty space right now. Loaded with fruit extracts for gentle exfoliation, witch hazel to clean out pores, and moisturizers for hydration, they tackle skin problems on a cellular level. Plus, they are super-light so you can layer on serums and moisturisers over them with impunity. I’ve noticed that so many Korean beauty products are shape-shifters. That is, they change texture after you apply them. There are face masks that go on as a lotion, then foam up as you rub them in and finally rinse off like water. Then there are cleansers that start out solid but liquefy upon hitting warm water. There are even “Complexion Coordinating” creams that start out white, then change into a fleshy tone as you blend them into your skin, thanks to “color capsules”. Magic? Who knows. Serums are so yesterday. Now, it’s all about these super-tiny bottles containing super-concentrated versions of essences that work even more efficiently to tackle whatever skincare problem you may conceivably have. And they are light-as-water so you can layer on as many treatments as you want, for multiple issues. Plus, the individually packaged portions means there is no guesswork with how much or how little to apply. A mask for your feet? Yes, it’s an essential in Korea. And once I tried it on, there was no going back. Even though the process is not so pretty: You slather them all over your feet and then the dead skin starts molting for 2 days. Molting as in literally peeling off in sheets. But wait it out for 48 hours and you’ll be rewarded with baby-skin soft that even the toughest pumice stones can’t rival? 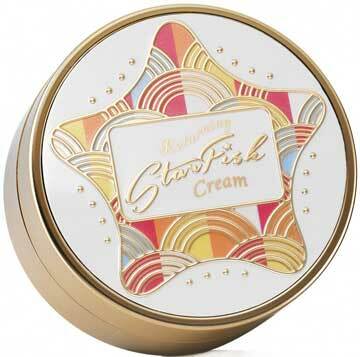 Yes, Korea is putting starfish extract in its skincare. Actual starfish extract. Because this sea echinoderm is known to rejuvenate lost limbs, the logic is these formulas can similarly restore your skin to its original gorgeousness. The cream itself has the texture and consistency of hair paste but absorbs into skin pretty easily. Total. Awesomeness. Maple water (or maple tree sap) is EVERYWHERE right now. The reason? Its hydrating, nutrient-rich, antibacterial and acne-busting molecules are the ideal size for penetrating the skin, leading to ultra-quick absorption. Plus, it’s odourless and non-sticky. In short, think of it as the new coconut oil, sans the greasiness. These gel-like exfoliators seem like standard stuff but as you massage them into your skin, the product starts to pill, suctioning out dirt and dead skin cells as it goes along. Peeling gels are anchored by fruit extracts that exfoliate without putting skin through the trauma of rough, bead-based scrubs. Now, who wouldn’t want that? Tired of gooey acne creams smearing all over your face and pillows? These small, transparent stickers are impregnated with various combinations of salicylic acid, tea tree oil, and grape seed extract to dry up individual zits. Though I would skip them during the daytime, since even though the stickers are transparent, they still show up as a shiny circle under lights. Designed to be the last step in a skincare routine (over serum, moisturiser and sunscreen), skin finishers “seal in” the effects of other products and add a subtle glow under makeup. The formula contains fatty acids that create a physical barrier over the rest of your skincare, making it work better; while micronized pearl particles make skin look more even and radiant. Bottom line: Seriously, gorgeously glow-y skin. This seems to be THE makeup base to have right now and I am addicted. Air-cushion compacts contain a lighter, dewier version of BB or CC creams packed into a sponge for a consistency that doesn’t create harsh lines or a cake-y finish. Plus, since you apply them with a sponge, there are lesser chances of getting carried away and slathering on too much. Perfect for creating that luminous, no-makeup look we all crave, especially during the daytime. Think of these as the Clarisonics of face powders. You dip the puff into the well, filled with pressed mineral powder, then press the button to apply. According to the company, the puff vibrates at a rate of 13,000 pats per minute, assuring that not a single pore will be missed. Not exactly subtle enough for touchups on the go, it does a phenomenal job of creating an even, flawless foundation. Is there a Korean beauty product you think I should try? « Our brains LITERALLY sweep themselves clean of toxins when we sleep! I came across the NPKN New York BB cream that is made in Korea, and let me tell you it is the best bb cream I tried (which are a lot). What the others, were lacking for me, was coverage and how long they would last. This little gem has the coverage and staying power of a foundation, without feeling heavy on my face! I’m a HUGE fan of Korean skincare after I started ordering Memeboxes (which unforgiveable now stopped deliveries to India). You need to try on sleeping packs as well which basically are overnight facemasks that make you wake up to great skin. And of course, the sheet masks. You also get masks for hands that you wear as gloves and my favourite, 7 Seconds sheets that cut through your skincare time and give you the benefits of toner, essence and moisturiser in one sheet! There are others that I can’t remember now but have reviewed some of the boxes on my blog so you can see the products. Ooh, is maple water the new coconut water? I bet it smells delicious. The acne patches sound intriguing, I’m surprised this wasn’t invented sooner. that’s what I wanna try.